Home » Food	» The Delicious Food Show was Delicious!! The Delicious Food Show was Delicious!! A new show was introduced to Toronto this past weekend. It was called the Delicious Food Show and they promised the best in cooking, food and kitchens. 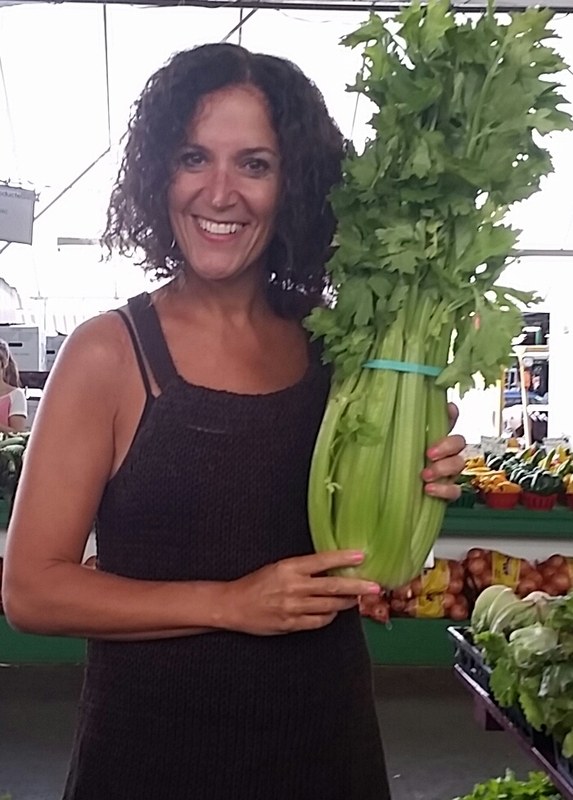 As a huge fan of food shows (I probably go to 6 a year – mostly trade but some consumer)..I was definitely intrigued to see how this show was different than the others. In particular I wanted to see how it compared to the Good Food Festival. To begin with, the venue (the Better Living Centre at Exhibition Place) was extremely appropriate – not to0 big, not too small. When you walked in, there was plenty of pink carpet (to match the pink logo), and a beautiful modern contemporary seating area for those who wanted to eat or rest. There was certainly an “upscale” feel to the show from the minute you entered the door. I loved the lay out too and the introduction of food trucks to the show. How brilliant!! 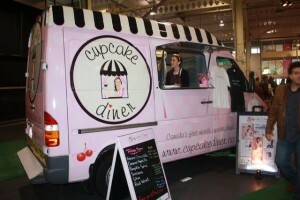 Not only did the food trucks give the show some interest but I’m now a fan of the Cupcake Diner. 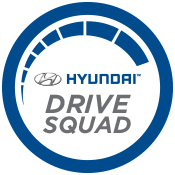 Sadly they are located in Hamilton, but they told me they have participated in all three food truck events in Toronto!! (hooray to the Food Truck Movement). 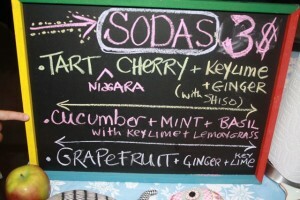 There was lots of macarons to purchase, shortbread cookies, but I was drawn to Augies Gourmet Ice Pops and Sodas. 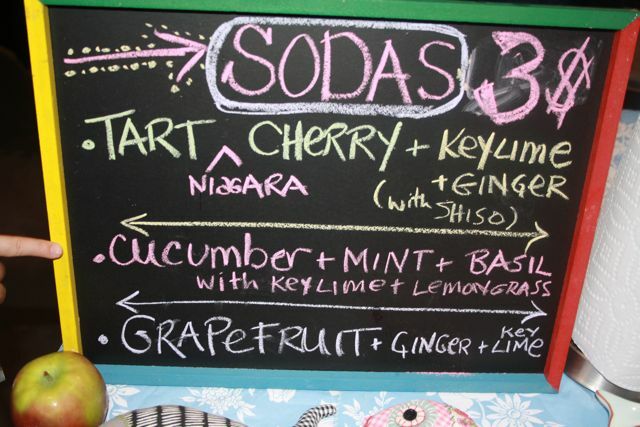 For $5 we tried a soda and a popsicle and it was indeed a refreshing treat. (and unusual too). Which flavor do you think I selected? I was also impressed that the show had a nice combination of everything – sweets, coffee/tea, food trucks, local food products, vegetarian food products etc. There was certainly something for every one. Not to mention, a nice variety of cooking demonstrations on the main stage. (which I sadly didnt have time to attend). They even had an exhibitor that taught you about MANNERS. 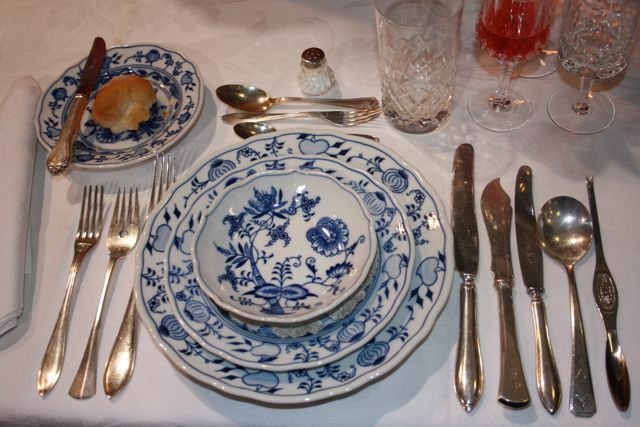 After looking at this table setting – I probably could do with a lesson from the “Business of Manners”. 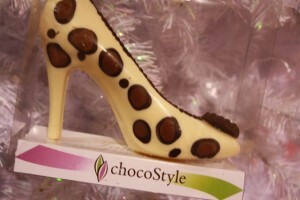 My favorite product was this CHOCOLATE SHOE from chocoStyle. I am kicking myself that I didnt pick up a few gifts. I know exactly who I would give them too. Why oh why did I just snap a photo and not snap out my visa card. (grrr). No question this show will be around next year and guess who will be returning? Thats right – Me (after my run..hee hee). 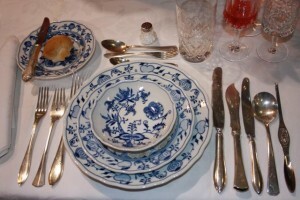 Thank you, Vicky, for including my table setting. Somebody said even hot dog taste better like this.